What is the Vibram Enduro of Nations? It treads that fine line between being a fun sport that everyone can get involved with and something punishing for the elite guys and girls to smash. In the words of Italian series organiser, Enrico Guala, “enduro is what we have done since the early days of mountain biking: climbing with a group of friends and having fun and battling on the way down.” This balance has meant the sport has exploded in Europe in the last few years , Enrico’s Italian Superenduro series this year attracted over 400 riders to its first round back in March (check out our race report from that event). This relatively fast growth has left the UCI on the back foot, they don’t recognise enduro as a discipline. What this meant was there were national series and events, but nothing truly international, no World Champs. Fred Glo and his team at Tribe Sports based down in the south of France saw this gap and realised this was something that riders wanted – the Enduro Trophy of Nations was born. "The enduro started in France in 2002 with the Tribe 10000 race in Val d'Allos," he explains, "then in 2004 we started the enduro series championship." They changed again three years ago to the current, Enduro Trophy of Nations format. He's cautious about using the phrase world championships, but he lets on that he wants the Enduro Trophy of Nations to be "the annual meeting of our little enduro world." They have added a slight twist to the UCI World Champs format you might be more familiar with – a team competition. Countries can enter teams of three riders, who race on extra special stages as well as the normal stages to win an overall prize. The other big difference to the World Champs is that anyone can enter, you won't make the French national team out of the blue (or if you're not French, but you get the idea, right? ), but you can come and race the same course as the top riders. It's back to the idea that is so central to enduro racing, that everyone should be able to take part. You won't be able to roll up to the UCI World Champs in Champery in a month's time and do that! 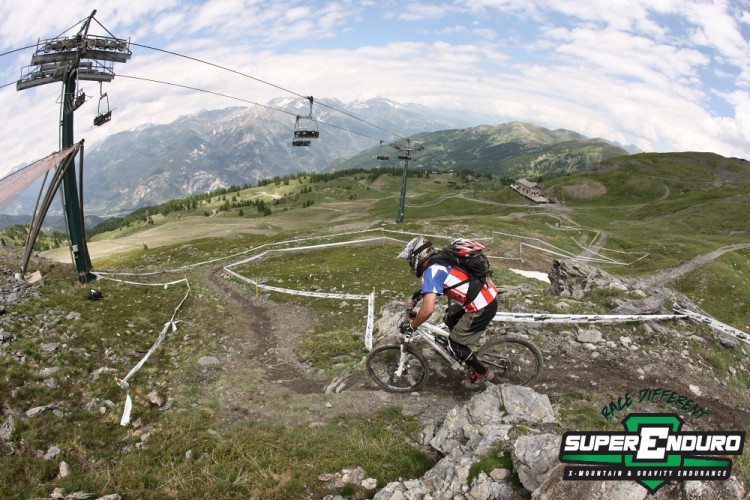 So just what do we mean by enduro racing? If you’re reading this in Britain, we definitely don’t mean those painfully long XC races that the organisers have started calling “enduro” (this is one problem with the sport being loosely organised). In the States or Canada you might be more familiar with the name Super D, although the courses in Europe tend to be much tougher and more technical. There are slight changes from country to country, but the format is usually based on rallying. 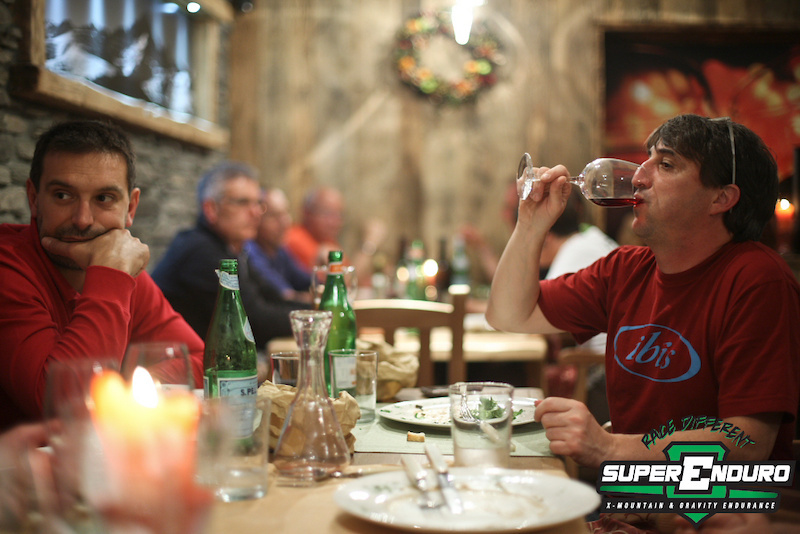 As Enrico Guala explains, “most of the climbing is done with the lift, but you still have to pedal up for several hundred vertical meters. There is no timing on the way up, but you need to be on top at the start of the special stage at your given time. Time for a sip of water, helmet change, protection on… 5-4-3-2-1 Go! Down the trail to the finish line. It will be tough, long and exhausting and the winner will not only be the faster rider, but the one who manages the course better.” When he says tough and exhausting you need to know he’s not joking, last year’s Enduro Trophy of Nations was made up of ten stages to race over (eleven if you were entered in a national team), ranging from two to fifteen minutes long. Anybody who’s looked at a Megavalanche podium in the last few years can guess which country has been dominating the event. France is the birthplace of the enduro format after all... They seem to have a knack for turning out riders with the fitness of XC racers and the speed and skills of downhillers. In fact, many top French riders like Nico Voullioz and Karim Amour were originally World Cup downhillers (if you're reading this and don't know who Voullioz is, chuck his name into Google for an important lesson in downhill history). It was racing an event like this last year where Fabien Barel had his horrorific crash at 70km/h, so don’t doubt the courage you need to get to the top positions. Last year the US team, with Brian Lopes and Mark Weir riding for them, pushed them hard, but at the end of the weekend it was still the French national anthem playing. Yet even at the highest level the importance of having fun isn’t lost, you’d be brave to bet against Jerome Clementz standing on a podium at the end of the event, but when you get down to it with him, it’s not just the racing that brings him back to the event year after year, “I'm sure we will eat some really good food and drink beer with our teammates and that's the main thing for a good weekend.” And we’re back again to that big reason why the enduro format is doing so well: fun. 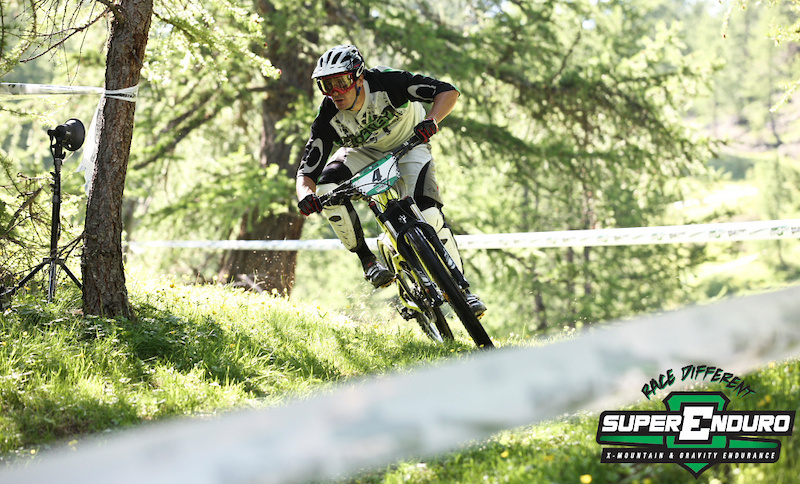 This year the event is being held outside France for the first time, Enrico Guala and his Superenduro team will be taking the reigns as the event lands in Sauze d’Oulx (Italy) this coming weekend (6 – 7 August). Stay tuned to Pinkbike for coverage of the event over the weekend! if it has ANY passion to flourish I hope the UCI never touches it then. They might help you sell it initially but they'll probably F up you're product and your vision for it. Who needs the UCI to validate every cycling discipline? Well you can still have the Enduro of Nations event while the UCI world champs will be held on a different track at a different time... it won't take away from the prestige that the Enduro of Nations brings. That won't be a bad thing to happen at all. i ride all mountain freeride and enduro, so i love the evolution of this discipline. this kind of racing really demands the most versatility and skill in every aspect of riding from climbing to descending and jumping - a great sport! as I see it, maybe we dont need UCI? lets just stay on our own, maybe with our own governing body. Just organise more races, broaden the geography and get coverage on resources like Pinkbike. there are loads of riders, who would participate in such events - just dont make it too fancy and special like UCI races with all the specific licenses required. THIS is what is needed more, like they said, this type of riding is most true to mountain bikings roots and it has a MUCH better chance for having a fan/rider base due to most people owning bikes used in this discipline because they can't afford 2-3it different bikes for 2-3 different types of riding.. I do believe the UCI should keep their filthy mitts off of it though and a +15 on the expanding of venues..
Just a little correction (or precision): the french enduro series did not get substituted by the Enduro of Nations. It just came on top of it. 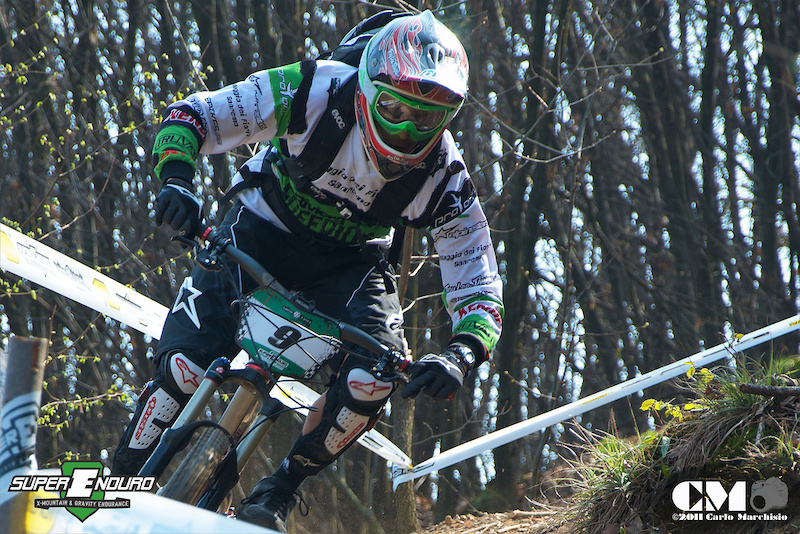 The National Series does still exist and was even backed by the french federation as an official Enduro National Cup. Which just got won by Jérôme Clementz by the way. So which country will be next? Still a long way till we get a world champ of this sport but the athletes would deserve the fedation care about that. I didn't say series! It's "series championship" I said in there, not series. Fred and the guys at Tribe saw this before it was published and I got those words straight from them. I take my accuracy seriously! And, for those who speak french, here is a website about enduro. this is a really nice race format... they say 4x is dying... could this be the future UCI recognised championship? ?